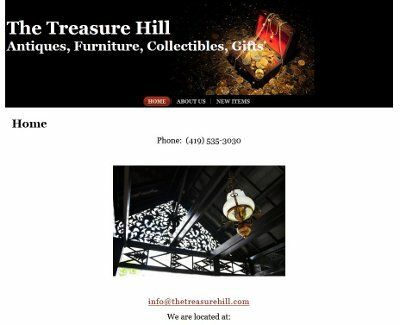 Chara from The Treasure Hill resale shop in Toledo, OH contacted us to make a quick and very basic website for her and the new resale store that she was opening. Chara let us know that she wanted the site to be very basic with no frills. She simply wanted a site that would list her contact information and possibly a page where she could post new arrivals and updates. We completed the design in a very quick timeframe and provided her the login information and video tutorials to manage her site. Thank you for allowing us to make you an affordable website design, Chara! Her website is at thetreasurehill.com.